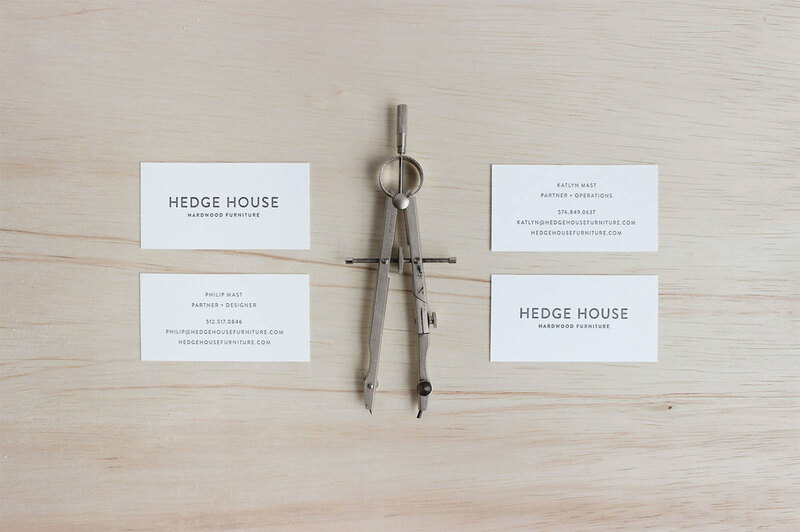 Hedge House — Rusty Design Co. The brother-sister duo behind Hedge House’s hardwood furnishings were ready to grow into a brand that matched the modern, minimal feel of their furniture designs. 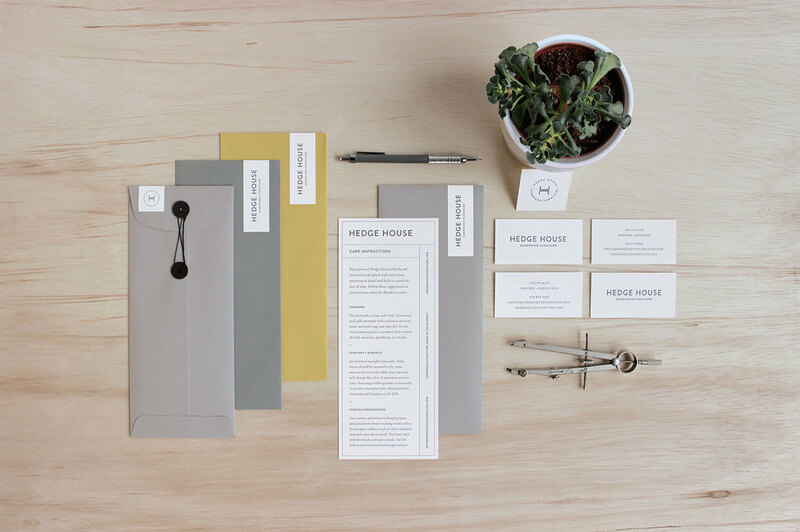 Their visual identity and print collateral were crafted to convey a sophisticated simplicity, balancing the natural feel of their materials with a utilitarian modernism.